Seeking dancer / choreographers to work with the sculptures of Patrick Pierce for a summer solstice event on Two Diamond Art Farm in Saco ME. Artists will receive a share of ticket sales as well as food and accommodation. Please visit the link provided below. Mini Movers Studio is looking for an energetic, enthusiastic and reliable dance instructor to teach at a Medford location on Fridays from 9:00-10:00 AM for 8-10 weeks (dates semi-flexible) June-August 2019. This class will be a mixed elementary school age group and will be Mini Movers Studio style Jazz-Hop class. A flexible curriculum will be provided. This position has the potential to grow throughout the summer and into the fall! This position requires a love for dance and a passion for making dance fun and accessible to all kids! Pay to commensurate with experience. If interested, e-mail your resume to minimoversstudio@gmail.com. Dance Studio located in Quincy Massachusetts is looking for a dance instructor for the fall season 2019. Candidate must be able to teach all levels of Ballet, beginner to advanced. Must have experience teaching in a class setting, energetic, outgoing personality, and strong motivational skills. Responsible for creating lesson plans and proficient in dance terminology and technique. We are also looking for teachers to teach Jazz, Tap, and Contemporary. Looking for an instructor starting in September on Mondays 6:30-9:00pm. Must be able to teach & choreograph for Jazz, Contemporary, Modern, and Tap for ages 9 & Up. At least 3 years teaching experience preferred. There may be additional opportunities for more hours through subbing and teaching additional classes. Our studio is growing and we are looking for energetic, driven, and outgoing dancers to work as full-time ballroom and Latin dance instructors, M-Friday from noon to 9pm. Your work environment is a beautiful, upscale studio teaching students (mostly adults) in private and group class settings. We hire for behavior and we train for skill. If you are the right candidate and have a great attitude and work ethic, we will train you to become a successful instructor and part of our team. 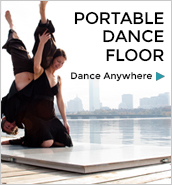 Ballroom or Latin-dance specific experience is not required. We offer comprehensive paid training and certifications. Although the primary job is teaching, there are many opportunities to perform, compete and choreograph. Benefits include: health insurance, paid vacations, travel opportunities, and more. This is a full-time position for a career-oriented individual. We do not hire seasonally or part-time.